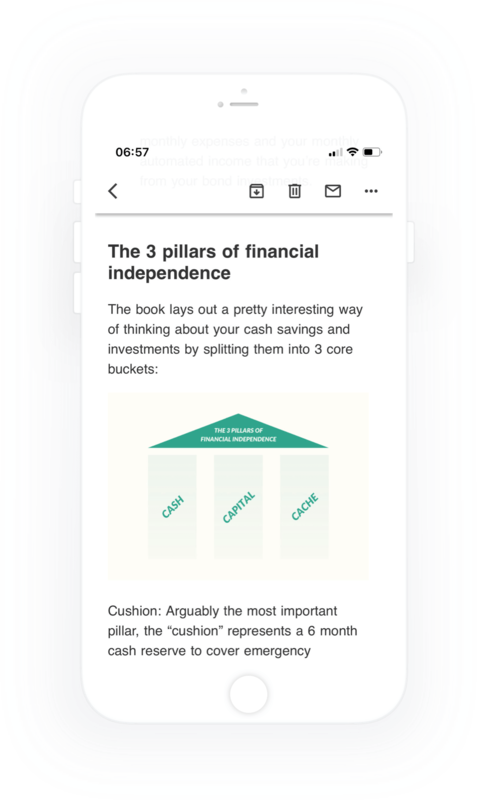 Get sent summaries of the best books on building personal wealth. Less fluff & more actionable insights. Key takeaways from the worlds best personal finance and wealth building books sent directly to your email inbox. Hours of reading condensed down into 10 minute reads. Get action-oriented take-aways you can implement immediately. A new book review will be delivered to email inbox every 2 weeks.